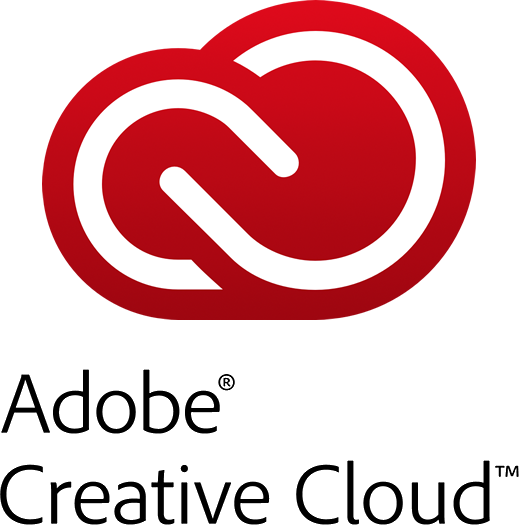 Our favorite place to pick up Adobe’s Creative Cloud subscription is directly from Adobe! There are several plans available, but our favorite (and the most popular) is the Creative Cloud Photography Plan. For under $10.00/month you’ll be able to have access to the latest versions of both Photoshop and Lightroom. And as long as your membership is up-to-date, you’ll have free upgrades for life whenever a new version is released (i.e. Lightroom 7). If you nee more apps, then you also have the option of getting the entire suite that includes Photoshop, Illustrator, InDesign, ProSite, Typekit, 20 GB of cloud storage, and a whole bunch more. B sure to check out Adobe.com for more offer details. Sale pricing valid through April 15, 2019. Up to 20% off on Adobe CS6. If you don’t like the idea of renting your software with Creative Cloud then this is really your last chance to pick up one of the remaining Creative Suite 6 products like Photoshop, Illustrator, Design Premium or Master Collection. Adobe’s CS6 is the last line of their creative products that you can purchase a license outright and even though it will cost more upfront, it will be cheaper in the long-run if you plan on using it for awhile. Plus, you can find select version on sale for up to 20% off the list price. Sale pricing will vary among versions. If you’re a student in any part-time of full-time college or K-12 primary school in the United States, Europe or Asia, then you can qualify to get 12 months of Creative Cloud for just $19.99 per month vs. the $49.99 per month. Validating your discount is as easy as sending in a scanned student id card (your school will need to be on their list of qualified schools). Follow the above offer link for full details. This offer is available in North America, Japan, Australia, U.K., France, Germany and most Western European countries. Must be a student or teacher to qualify. Check out Adobe’s official current specials page for a full list of software products on sale. You’ll often find deals for volume purchases, those looking for an upgrade discount, and more. 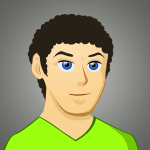 This page is upgraded by the folks at Adobe and will have some of the less popular offers that we don’t tend to post here on Software Voucher. See adobe.com for more details. If you don’t need the entire Creative Cloud, which includes just about all of Adobe’s most popular software programs, then you’ll save by just getting what you want. Choose Photoshop, Illustrator, InDesign, After Effects or Dreamweaver for just $19.99 per month. It’s a good option if you just need to use it for a short-term or school project as you will be able to cancel your membership at any time. Creative Cloud on sale at Amazon. Another store to consider buying Adobe’s creative cloud subscription is at Amazon. They have two plans available, month-to-month or the annual subscription, but the best deal is if you sign up for the 12-month plan as it saves you over $300.00 in the long run. As you do when ordering CC directly from Adobe, you will also receive 20GB of cloud storage on Adobe Creative Cloud for the life of your membership. Because CC 2015 is only available as a download, there is no waiting for the disk to arrive by mail, there are no extra shipping costs, and you can install the software immediately after checkout. See Amazon for sale pricing and offer details. Get Adobe Stock + Creative Cloud. All of Adobe’s software is available to test out for free for up to 30 days as long as you haven’t tried it out before. To access the trials you will be required to signup for a free Adobe ID and provide a valid email address for your account. As with most software trials, your time will begin the day that you first install the software. Then at 30 days it will automatically stop functioning unless you signup or one of the Creative Cloud plans or enter an activation key. Try Adobe CC 2015 for Free! Where do I enter an Adobe promotional code? If you’ve begun the checkout process on your Adobe Creative Cloud order and cant’s seem to find the “promotional code” box then don’t worry, it’s not there. All of the CC 2015 offers on this page that direct to the official adobe.com store do not require you to enter any coders or coupons at checkout as the discount will be reflected automatically for you. Some of the discounts, including the student discount or any upgrade discounts, may rehire you to validate your eligibility to be able to realize the savings. Sometimes it’s as easy as using your .edu email address while at other times it may require you to send in verifying documents in the mail. Besides most of Adobe’s resellers, the only place where you can enter an Adobe coupon code at their site is when ordering a non-creative cloud product. This includes any CS6 product, Photoshop Elements, or Lightroom. If this is ever the case we will make note of it in the offer’s description with all the necessary steps highlighted. Is my Creative Cloud membership refundable? How often is the case that you make an impulse-buy to only come to regret it a few days later? Well with Adobe, they not only give you a 30-day free trial on just about all of their software programs, but you have 30 days from the date of your purchase to request for a complete refund. So if you’re not happy for any reason or realize that you really don’t the complete CC suite, then it’s easy to send it back. If you happen to want to cancel you’re CC plan mid-way through your membership then Adobe will bill you 50% of your remaining contract obligation. What happened to the upgrade discount? For about three years after the official launch of the Creative Suite subscription plan, Adobe was offering a special upgrade discount for anyone who owned any individual version of CS3, CS4, CS5 or CS6 software. And it was a great discount at that because the first-year price would drop from $49.99 to just $19.99 per month. But as of May 2015, this offer has since expired. Rumor has it that many customers were tricking the system by “upgrading” at the lower price every time their 12-months membership was expiring. Is it hard to get Adobe’s Student discount on CC? No! It’s actually really, really easy. In fact, as long as you are a student, are a parent of a student that is 13 years old or older, or have know someone who is, then you should be able to take advantage of the offer. Their are several forms of student verification available, all of which will need to match the name on the person purchasing the software. The easiest is to use a school-issued email address (i.e. an email address that ends in .edu). But you can also send in a copy of your school ID, report card or transcript as forms of proof as well. Even homeschooled students can save with Adobe’s student discounts. All you need is to product Adobe with your dated copy of a letter of intent to homeschool or current membership ID to a homeschool association. Adobe 2016 Release Date Alerts! When will Adobe release CS7? Adobe has publicly announced that it has no plans on updating CS6 by releasing CS7. All future updates will be going exclusively to Creative Cloud members. While this brought controversy from existing and loyal customers who did not want to pay a never-ending subscription for their software, Adobe has stood fast with their plan. At this point, the features found in CC is not dramatically different than CS6, so be sure to consider CS6 if you, like us, prefer to pay once and forget about it for your software. I can’t seem to find the CS6 trials – Are they still available? Yes, you can still download CS6 and older software programs directly from Adobe. With the introduction of CC, they’ve made it extremely difficult to find but we’ve included an example of the Photoshop CS6 trial download so you can see how it’s done. Unlike other deals and coupons websites that often have expired promotions or don’t list some of the best deals, we here at Software Voucher track all our offers by hand and check then on a daily basis. But as most online stores are dynamic, things change on a lighting fast pace and sometimes we just don’t catch it in time. If you happen to notice that something isn’t working right or a sale price has changed, then let us know and we’ll look into the issue asap.